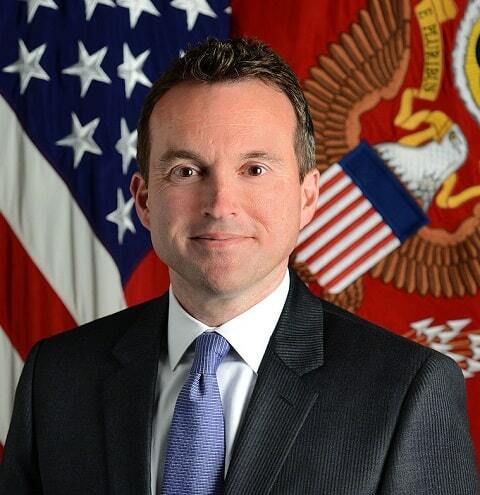 Despite bipartisan support, one Republican Senator is blocking the appointment of openly gay Eric Fanning (above) to the position of secretary to the Army, the highest-ranking civilian position in the largest branch of the military. Fanning is currently the Acting United States Secretary to the Army. 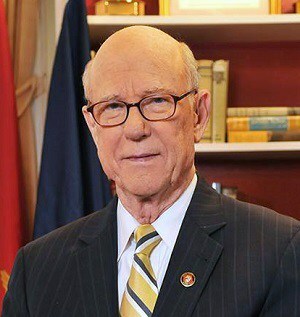 Although there are few questions about Fanning’s qualifications, the appointment is being held up by Senator Pat Roberts (R-Kansas) (right), who has placed a hold on his nomination, insisting that the Obama administration tell him that it will not move any detainees from Guantánamo Bay to Fort Leavenworth, Kansas. The Obama administration has balked at giving Roberts any such assurances. According to the New York Times, some Senate Republicans have said Roberts is being unreasonable and should allow Fanning’s nomination to proceed. Senator John McCain, the chairman of the Armed Services Committee, has fought to get Fanning confirmed. Speaking on the Senate floor at the end of last month, McCain said it was unfair to hold up Fanning’s nomination, because he would have no role in what happened to the Guantanamo detainees. However, Roberts refused to back down. Many in the gay community believe Fanning’s confirmation will be another step forward for LGBT people in the military, but they are concerned about why the process has taken so long. Watch Fanning speak at the Armed Services Committee hearing below.